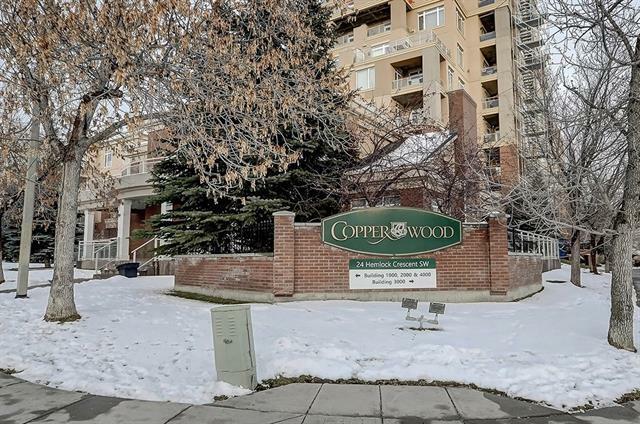 Live a life without compromise in this TOP floor 2 bed, 2 bath corner suite that backs on to the Shaganappi Golf course, providing you with views of breath-taking green spaces & the downtown skyline & just a quick 10 min drive to downtown. 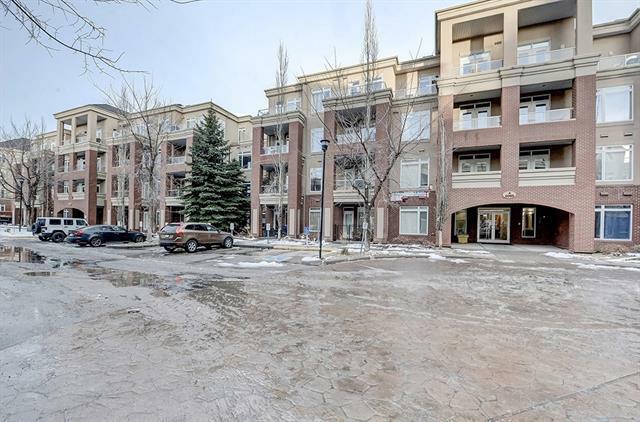 An open floor plan with 9 ft ceilings provides room to entertain inside & out with its large deck accessed off the living room or the 2nd bed/den. Kitchen features a gas stove, corner pantry, durable Corian counters & a convenient breakfast bar. 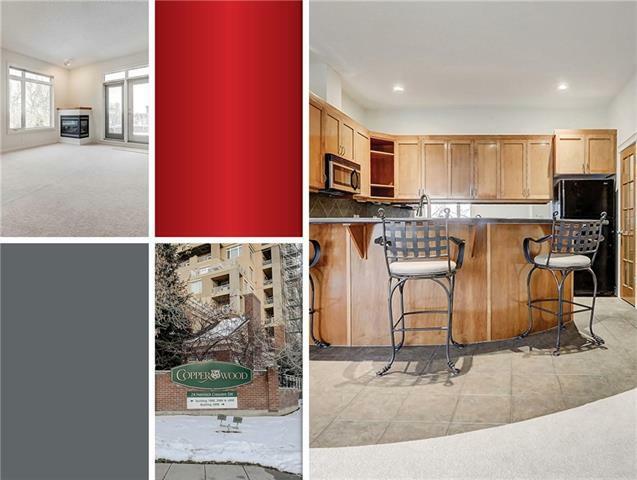 Enjoy the dedicated dining area & the gas fireplace in the living room. The master suite has a 5 pc en-suite & a walk-in closet. The second bed/den with beautiful french doors can be used numerous ways to suit your needs. Large in-suite storage & laundry as well as a separate locker. Amenities include titled u/g parking, car wash bay, exercise room, bike storage, work shop & guest suite. Spruce Cliff's walk-ability is hard to beat with Westbrook mall, the LRT & numerous restaurants & services just steps from your front door.